Jeong also fantasized about killing men, joking that even if only "bad men" were killed, it would still include all men. She also hates... the New York Times? 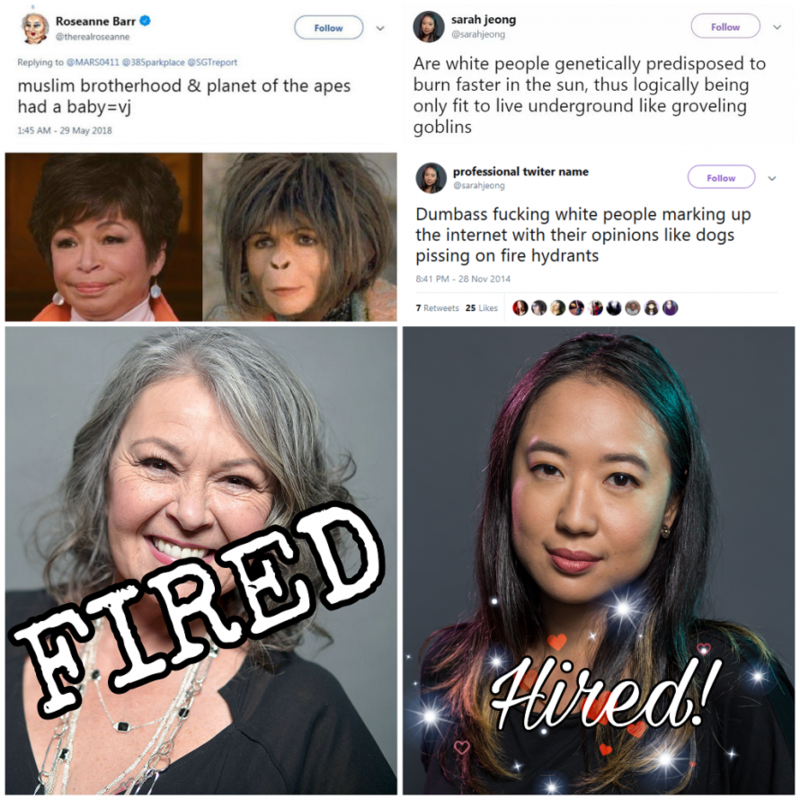 As Breitbart's Allum Bokhari noted on Friday, Jeong also has a history of trashing her new employer and several NYT columnists! After a bad day, some people come home and kick the furniture. 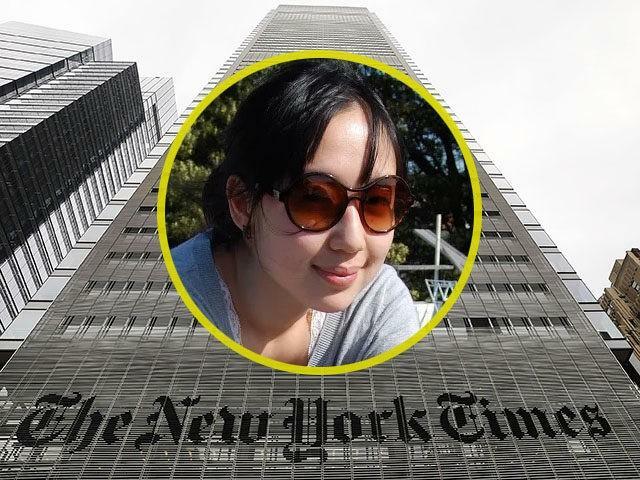 I get on the internet and make fun of the New York Times. Stealth editing is beyond unethical. Too many large news organizations do it. The BBC, by altering the article without notice, makes my quoting of them seem like I'm editorializing. 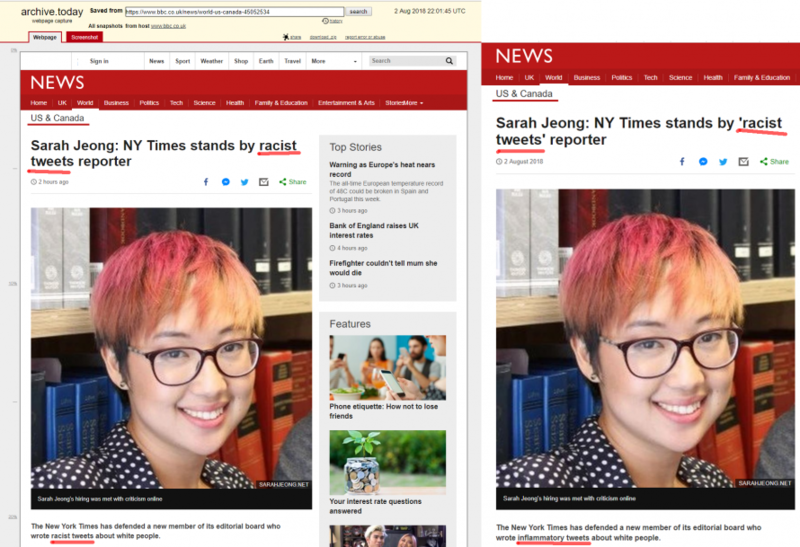 The BBC also added quotation marks to the phrase "Racist Tweets" to suggest they aren't actually racist. 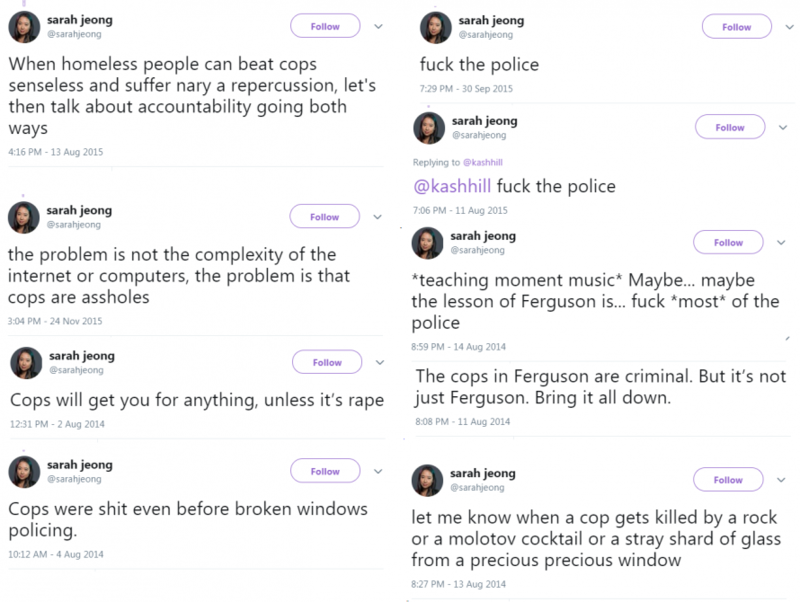 Nothing to see here folks, just the NYT hiring and then defending a bigot who openly hates white people, men and cops. 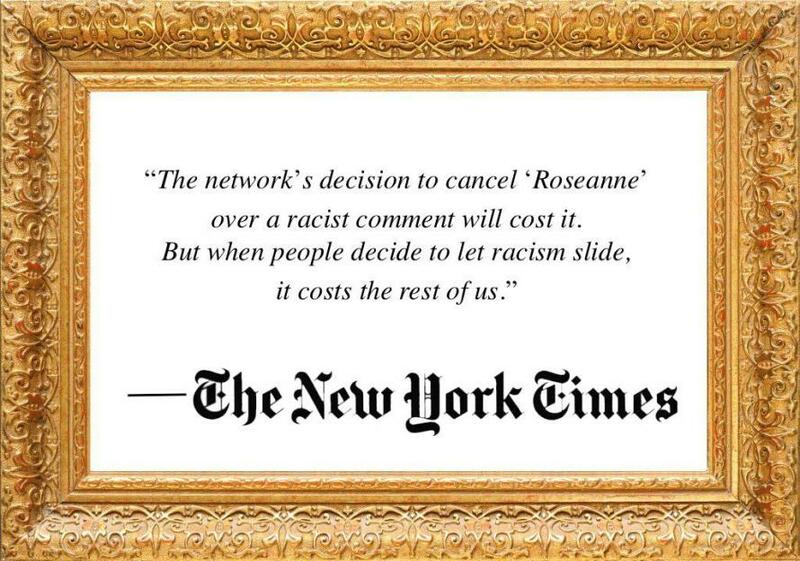 Of course, the Times also said of ABC's decision to cancel Roseanne: "The network's decision to cancel "Roseanne" over a racist comment will cost it. But when people decide to let racism slide, it costs the rest of us."